If I don't hit "new post" and then "publish" now, another month might go by! I blog in my head sometimes, when I think I'll open my laptop after the kids go to bed. 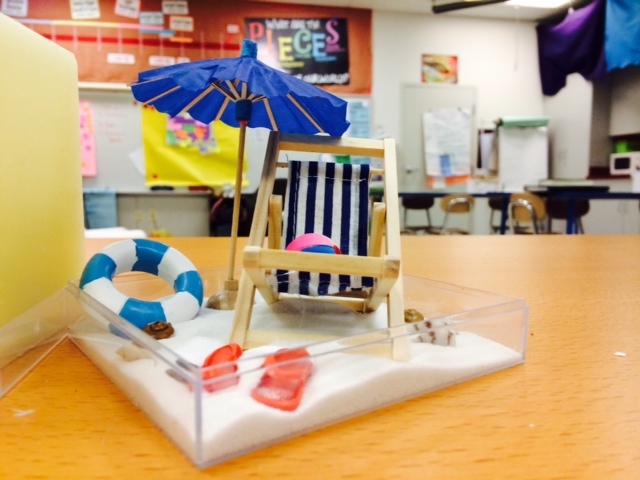 and how just today I procrastinated grading late work by cleaning off my desk to make room for my new beach. I just decided to write. 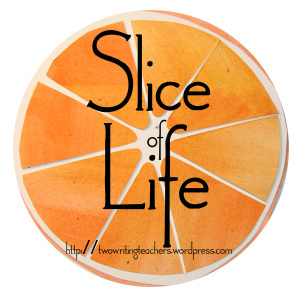 Part of Slice of Life by Two Writing Teachers. Head over there for information and links to more Slicing! I love the ocean. I love all bodies of water, but to me the ocean is the absolute. I must admit that when I’m enjoying a lake or a dam or even a bay, I’m also thinking that it is beautiful and peaceful and calm because it is almost like an ocean. I look at the ripples as the water meets the sand or dirt, and I compare them to ocean waves. I strain my ears to hear the sounds of the water, hopeful to feel the same sense of peace that I get from the sounds of the sea crashing wave after wave. 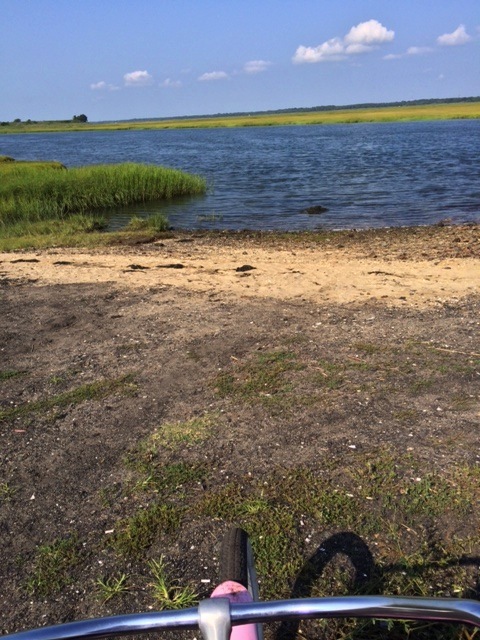 On our beach vacation last week, I took a short bike ride (all by myself! amazing!) and came to a trail head near the marsh. 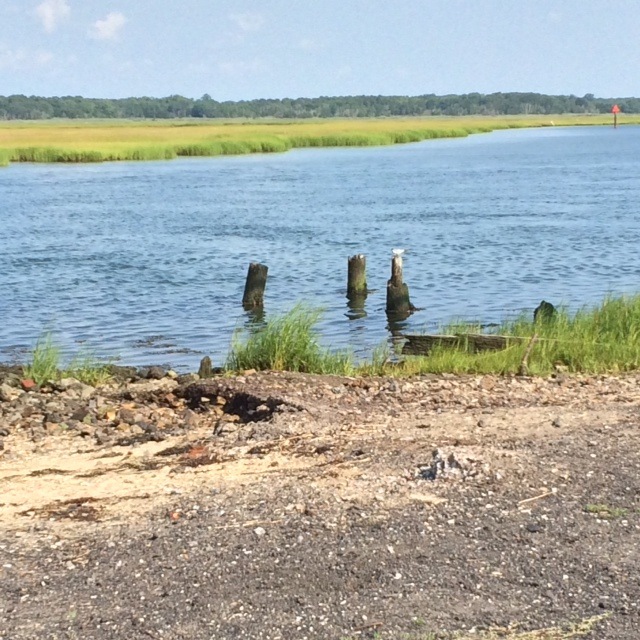 The marsh has always been a beautiful piece of scenery at the beach. But the main attraction is the ocean. As I rode down the one lane gravel path, I watched the grasses sway and wave in the wind. I thought about how this place wasn’t beautiful because it was almost an ocean. It was an ocean. An ocean of bright green vegetation, and birds and soft wind. This idea of “almost an ocean” played over and over in my mind as I rode. I started to list in my mind all of the things that I am almost (almost a runner, almost reading a book a day, almost vegan, almost did enough school work this summer, almost finished cleaning the house before I left, almost relaxing on my vacation). 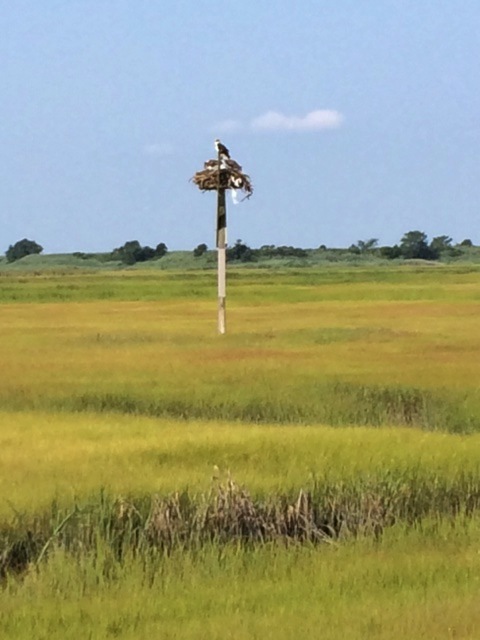 I guess I am a marsh – almost an ocean. I saw that ahead of me was some water, and when I got to it, I laughed. A beach. It was peaceful, quiet aside from bird calls and breeze. I didn’t find myself thinking about how it was almost an ocean. I didn’t try to hear the waves, or put my feet in the sand. I just stood there and breathed in the beauty. I wondered about my almosts. I turned them around in my mind like the marsh beach. Not almosts anymore, but things I know I am. I know I run, I’m reading a ton, I eat a plant based diet, I have worked on schoolwork this summer, my house is fine. I’m relaxing. Right now! 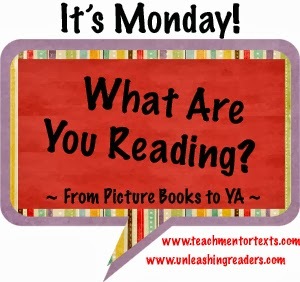 Visit Teach Mentor Text and Unleashing Readers to learn more about It's Monday! What Are You Reading? and Nerdy Book Club for information about the Book A Day challenge. 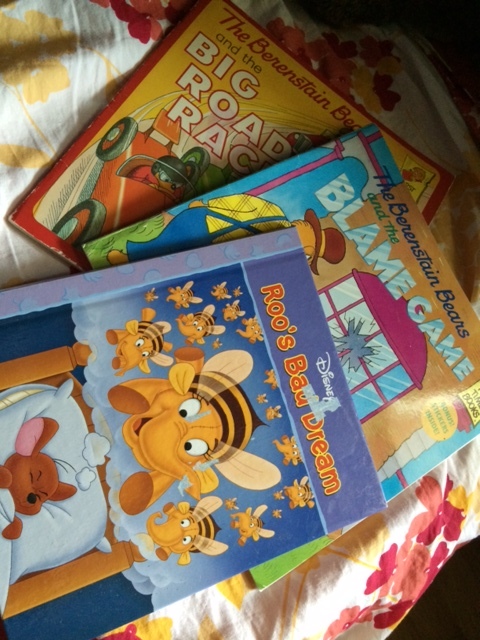 Oh #BookADay… I’ve been rereading a lot of books on my bookshelf to my kids this past week… some are old favorites, and some are just books my 4 year old chooses. I’m also still plugging away at The Mindbody Prescription: Healing the Body, Healing the Pain, which is a reread. 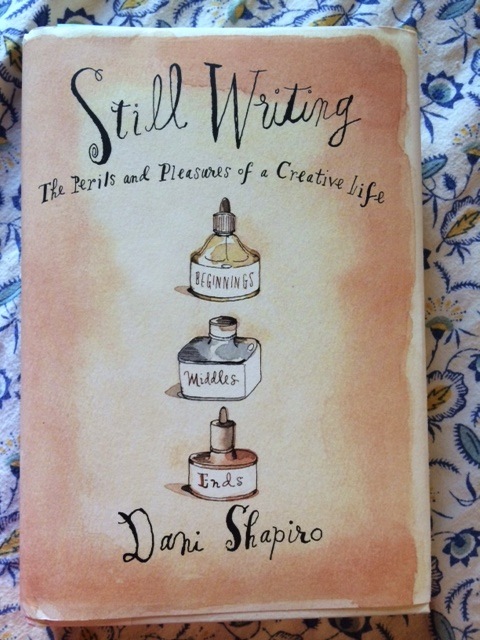 It’s fascinating though – given to me by a friend who couldn’t say enough good things about it. I have always felt that our minds and bodies are so connected, and it is nice to read some scientific evidence by a doctor about just that. My back is still bothering me though – and I think I may need to focus just a bit more on the book. 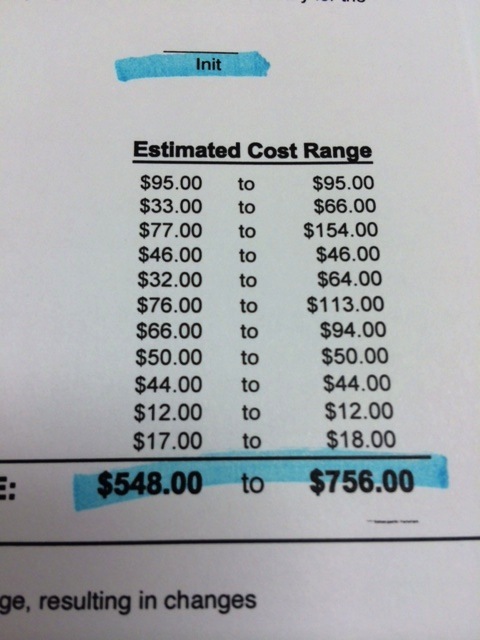 I know that a great deal of my back pain has to do with stress. I have Daring Greatly: How the Courage to Be Vulnerable Transforms the Way We Live, Love, Parent, and Lead started too.. and I love it. I keep not reading it though- trying to save it as a little reward for after The Mindbody Prescription. 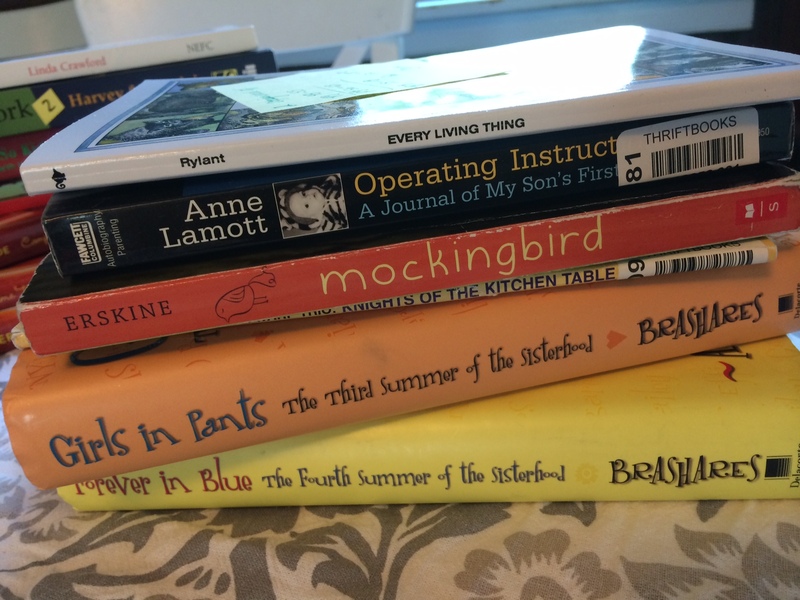 At some point this week I realized that I wasn’t being as successful at my #bookaday goal as I wanted to be. But, I also realized that I am reading every day, that the goal is to average a book a day, and that picture books count! So, that made me feel better. Yikes. I know. At midnight during my daughter’s sleepover party, Susie jumped on the table and chewed on the lilies that I had put there. (Yes, I knew they were toxic, but my cats haven’t cared about the lily garden in my backyard for the past 12 years, so I distractedly thought the table would be fine for a vase of lilies that a friend brought over…) So, I had to rush Susie over to the emergency vet. She’s still there, getting IV fluids, and we are still praying that they can flush the poison out. 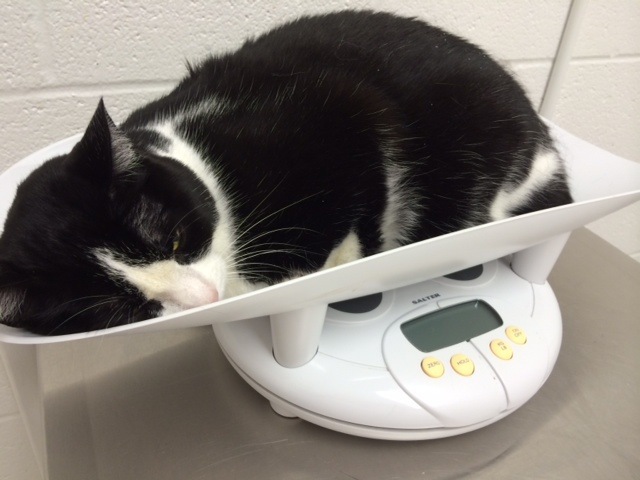 I love this cat so much, and feel so terribly guilty. PSA time! Don’t bring lilies into your house if you have cats! I have found out that cats who ignore lilies outside will often try to eat them inside. This has been a scary time around here – so please be careful! 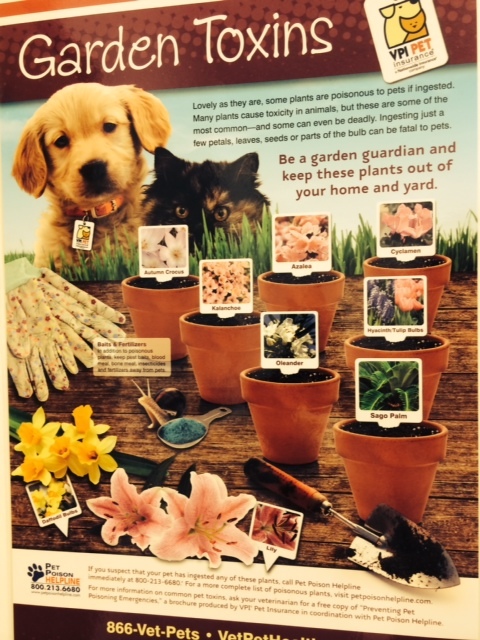 This poster was in the exam room at the emergency vet, and I wish I had been more vigilant! Today, after visiting my sweet Susie (or Suserelly as we often call her) and doing about a million other family errands, I arrived home to a wonderful package that I had forgotten was coming! So, now I am adding another book to my TBR pile! 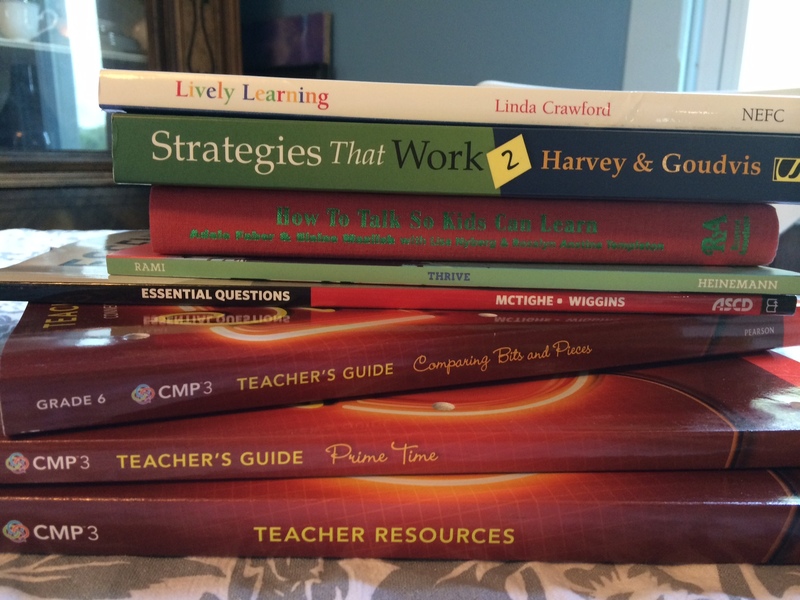 This morning I sorted through the books – it feels good to have things organized in piles. So good in fact that I’m wishing I had the money to just buy all the other books on my many lists… just to pile them up in To Be Read piles! Fiction… I still have the Traveling Pants series (2 more!) to finish, a few books off of my classroom shelf, and Anne Lamott’s Operating Instructions which has been on my Someday list for months. All of this reading. . . I’m thinking my house won’t be getting any cleaner this summer. That’s a consequence I guess I’m willing to live with. 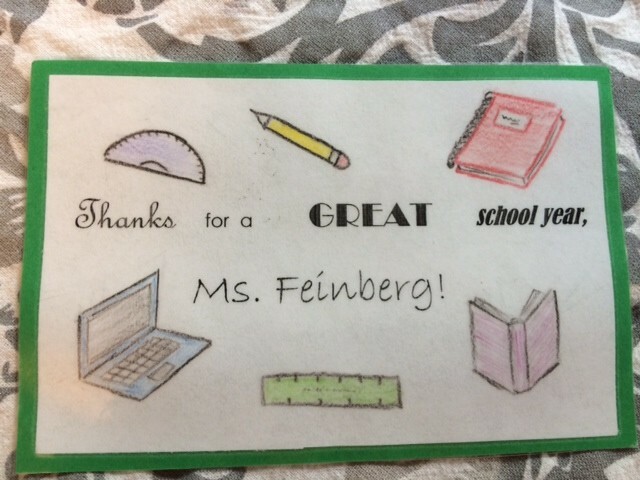 As an added bonus, I have this wonderful card given to me by a student last week, that makes the perfect bookmark. 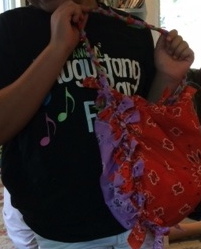 My husband asked me this morning when I was “…done with school.” I said “Never.” He snorted and asked again. I gave him a run down of all the stuff coming up in the next 2 weeks and he said he was going to go check up on me to see if other teachers were still working… He will be disappointed if he thinks it’s only me! Part of my work this summer is my taking on the Nerdy Book Club challenge of Book-a-Day. Challenge guidelines can be found here. I wasn’t planning to start my book-a-day today. But the windows were open to a almost chilly breeze. The sunlight was peering into my living room, but not heating it up. There was a glider and ottoman involved, and even the afghan my mom crocheted for me last year. 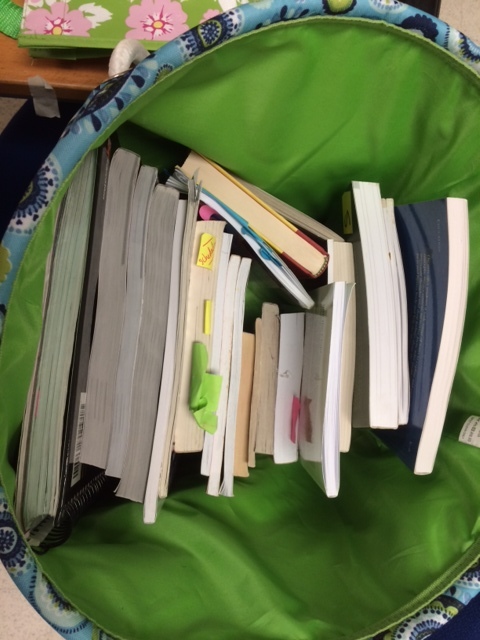 There was my favorite bookshelf, and the bag of books I borrowed from my classroom and my friend’s classroom too. Having nothing to do with the backlog of dusting, vacuuming, laundry and dishes, I slowly made the decision to give the day over to reading. 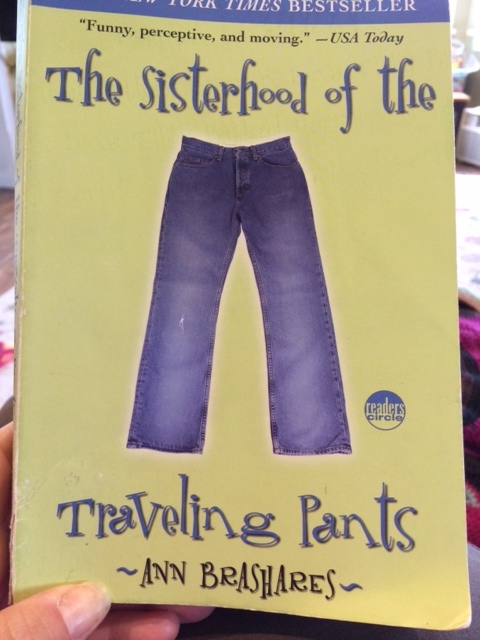 So today I read The Sisterhood of the Traveling Pants and it was every bit as good as my friend had promised. I think I’m a sucker for stories about friendship and growing up. I was worried when a sick younger child entered the story, but the author handled it somehow in a way that made me sad without collapsing in a pile of tears. I have the other 3 books in my bag as well, which I’ll probably read because I’m a series finisher. I have friends who can stop after the first in a young adult series. 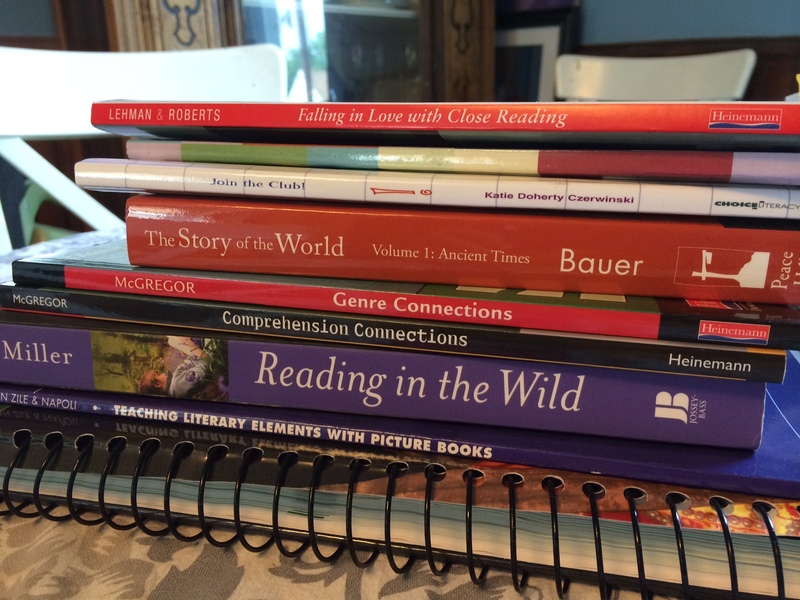 They know enough to recommend the series to their students, but save time to read new titles. I don’t have this kind of discipline. I’d love to hear your must reads so I can add them to my plans!